A Cottage Style Unfinished Oak Door with 6 Boarded Panels. A popular external oak panelled door the Suffolk would look at home on many different properties. The lack of glass in this door allows for maximum privacy to be assured. in Gold Anodised or Satin Anodised Aluminium Door Threshold with Brass or Chrome Door Furniture. 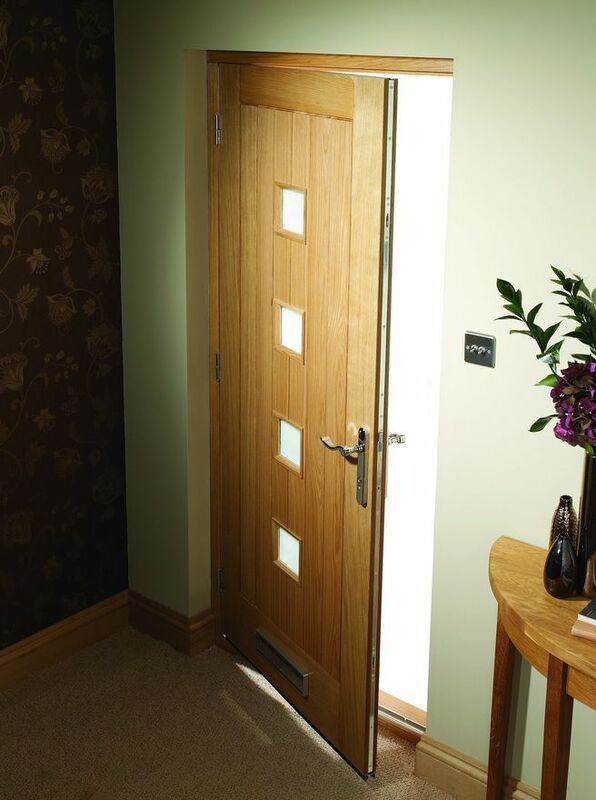 Letterplates can be fitted to Oak Suffolk Doors purchased as door-sets - Gold Anodised or Satin Anodised Aluminium. XL Unfinished Oak Suffolk Door Codes - MTOSUF30 - MTOSUF32 - MTOSUF33 - MTOSUF34 - MTOSUF36 - must be treated to manufacturer's instructions. - We cannot exchange Unfinished Oak Suffolk External Doors after order - XL Suffolk Unfinished Oak Doors are supplied as a Special Order. We cannot exchange any XL Door once work has commenced; XL Joinery Suffolk Unfinished Oak External Doors are supplied as a Special Order. Carrier Delivery of XL Suffolk Oak Doors is not possible. E. & O.E. see T&C - We do try to keep Prices and Specifi­­cations of XL Suffolk Doors correct, but mistakes can be made! Please let us know if you do spot any errors - thanks.